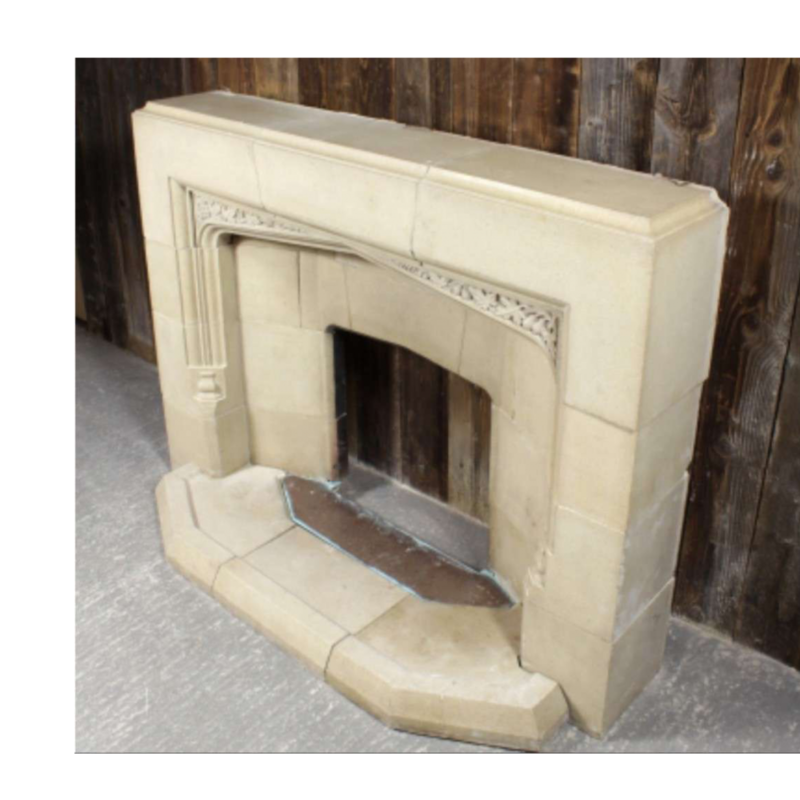 Reclaimed mid 20th century Tudor style composition stone fire surround and hearth. In several sections with foliage detailing below the mantel. The overall size is below. 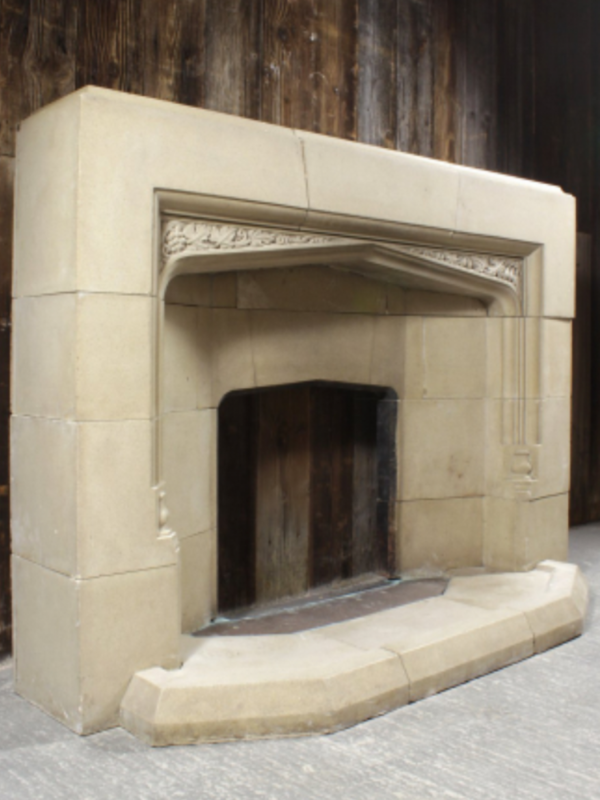 The depth of the surround is 26.8cm and the opening is 54.5 cm wide x 58.5 cm high. There are a few minor dents to edges but overall good condition. Size 151.6 cm (w) x 113 cm (h) x 53cm (d). Please call 07910226238 with any questions.